← Contracciones???? y como son??? A silly stroke of luck again came my way last week. 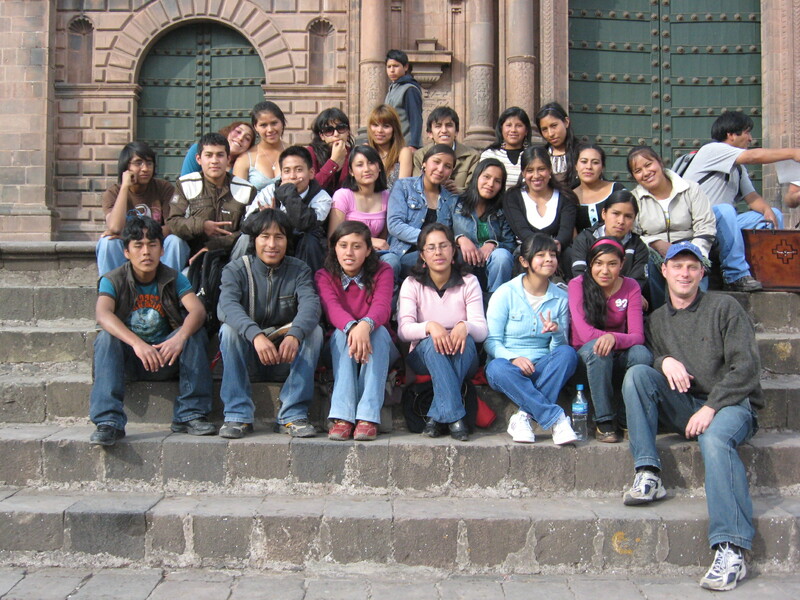 At ICPNA Cusco, where I teach English part time, the teachers are not supposed to wear jeans or sneakers. My boss has devoted ample time to this, but I keep flaunting that particular rule anyway. A few of the teachers and I sort of played it down “you sure they were talking about me?” but I know my boss took notice. Thank you Rosanna !!!! Although I love Peru there are a lot of issues here, such as poverty, corruption, prejudice, environmental protections, protection of land for indigenous people, etc. I tell all my students to be rebels, stop accepting the status quo, if they want a better Peru they are the ones to make it better. So I am a rebel, I try to lead by example, I wear jeans and sneakers to let my boss know there are more important issues to address than the kind of clothes people are wearing. Thanks Rosanna, and thanks Silvana!! This entry was tagged Cusco, ESL, Peru, rebel. Bookmark the permalink. Rebel? Will be interesting how far you could get with so called rebelism on schools in England or American schools requiring uniforms for children as well…its not rebelism ..its also kind of disrespect to school as a teacher…basic respect should be …obviously you got lost in understanding of words..